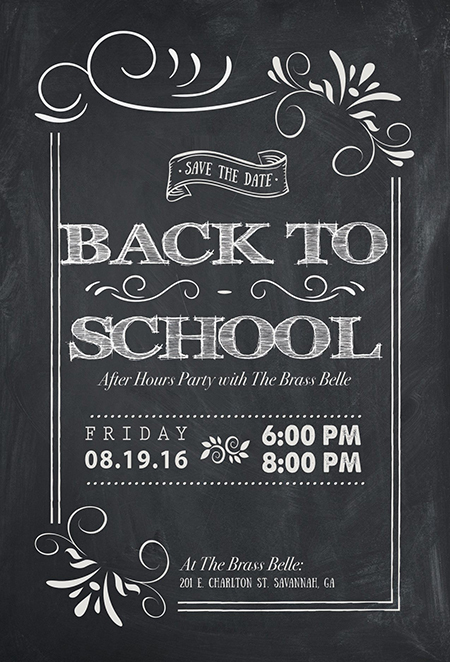 Join The Brass Belle on August 19, 2016 as they celebrate all local students going Back to School with our After Hours Soiree at our boutique. From 6-8 p.m. they will shut down the shop for local students who can get 10% off all merchandise! Enjoy drinks, small bites provided by Tondi’s, live music and shopping! For more information, call the shop at (912) 417-2210 or check out their Facebook page.